Gemini specialize in the supply of Secondary Standard Dosimetry Systems. We manufacture a wide range of personal dosimeter calibration systems. There are many variables when specifying calibration systems, source isotopes, strengths, quantities, distances, collimation and so on. We are happy to work to clients own specifications, or we can provide advice in identifying the optimum solution to match your individual requirements. The control unit provides switching and control to enable manual and automatic operation of the facility (CAT. 3). The source can only be exposed when the access key from the Castell door lock is in the control unit. Windows control software to allow automatic control of the facility. Control computer and monitor. A radioactive source is housed in a lead shielded pot when in safe position. The source is raised using a motor/rack arrangement and is held up in position using a solenoid. The source is moved up a shielded tube and is exposed through a beam collimator. The source will drop if the power to the system is lost (fail-safe). Lead pot with plug and hasp lock for storing radioactive source. Source handling tools are provided. Radioactive sources are housed in 4 lead shielded pots when in safe position. The source pots are fixed to a carousel driven by step motor. A source is selected, rotated to the expose position and is raised using a motor/rack arrangement and is held up in position using a solenoid. The source is moved up a shielded tube and is exposed through a beam collimator. The source will drop if the power to the system is lost (fail-safe). 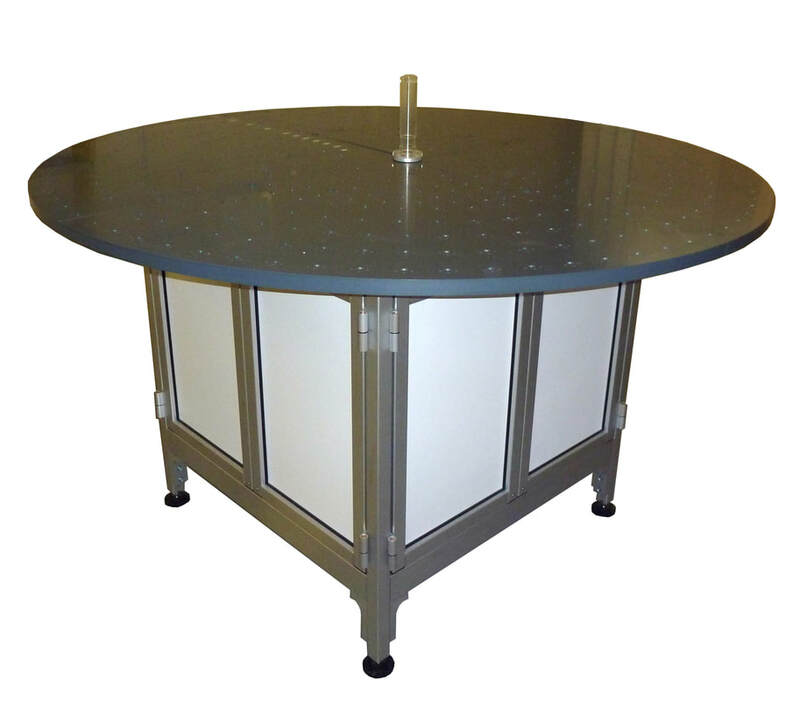 The circular exposure table has radially positioned holes 360° to accept acrylic dosimeter holders. 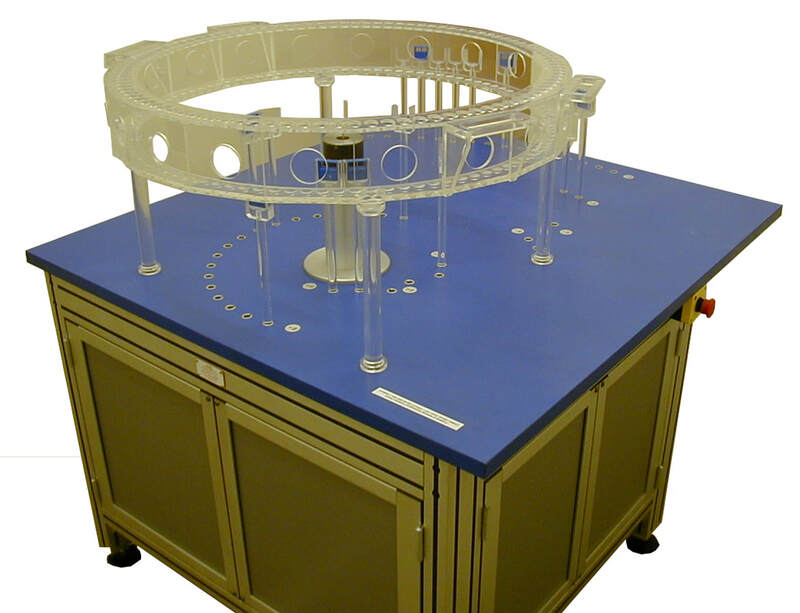 The exposure table is mounted on an Al Alloy framework. The frame has panels on two sides and double.